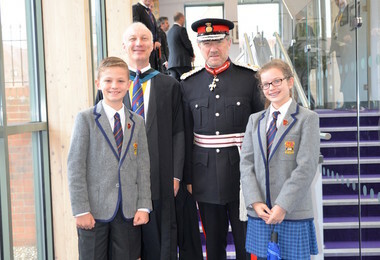 We were delighted to welcome the Lord-Lieutenant of Hertfordshire, Mr Robert Voss CBE, to the College on Monday 15th October as part of our 150th celebrations. What is the role of the Lord-Lieutenant? The Lord-Lieutenant represents Her Majesty The Queen and supports the Royal Family in the county. He also supports the many organisations and people of Hertfordshire; connecting individuals, organisations, both voluntary and commercial, promoting a good atmosphere and spirt of co-operation throughout the county. 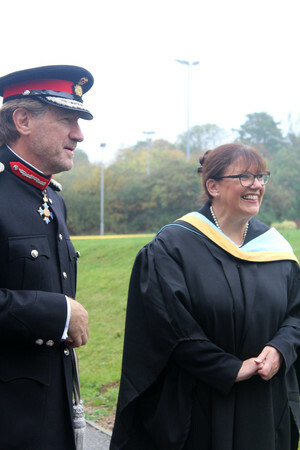 The Lord-Lieutenant is also a conduit to the National Honours system, giving recognition to voluntary, businesses and charitable organisations as well as different religious and educational establishments. The current Lord-Lieutenant of Hertfordshire is Mr Robert Voss CBE. He succeeded The Countess of Verulam who stepped down on 31st July 2017. Mr Voss recently retired after a long and distinguished career in the metal industry, having also chaired the European Federation in Brussels for 16 years. He has a special interest in young entrepreneurs, through his involvement with Hertfordshire Young Enterprise, as a venture partner investing in a number of young companies and as a trustee of the Young Person of the Year Charity. He also established a Young Entrepreneurs Challenge. He is a Governor of The University of Hertfordshire and a member of the UK Holocaust Memorial Foundation survivors’ testimony committee and is involved in a number of local and national charities. He was awarded the CBE in 2014 for ‘services to British Industry and voluntary work in the UK’ and was appointed as Deputy Lieutenant of Hertfordshire in 2015. During his visit on Monday we shared with the Lord-Lieutenant some of the highlights of our community. 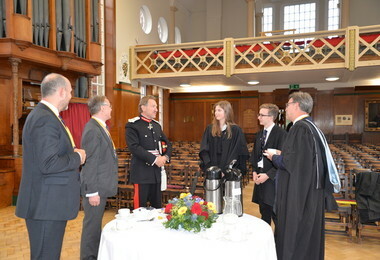 Following his welcome in the Mem Hall the Lord-Lieutenant toured the Pre-Prep, going into several classes and chatting to pupils, followed by a tour of the Prep School. He visited REST, where he learnt about some of our charitable activities, before going to Trotman House to meet with day and boarding girls. 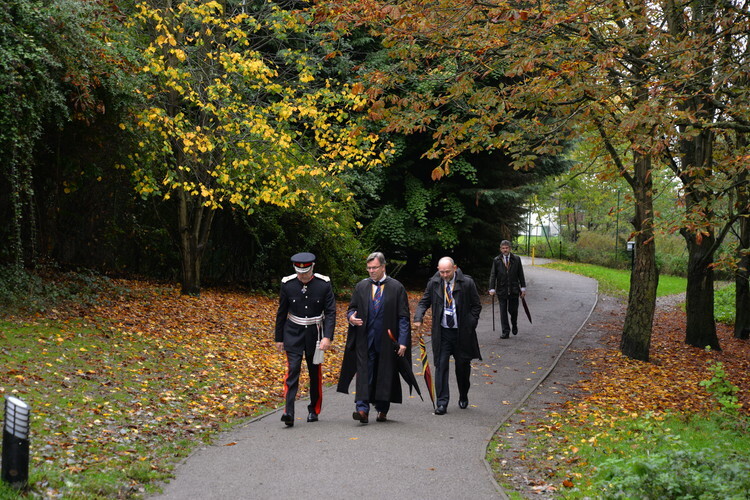 After a formal lunch with the Governors, Heads and other invited guests, the Lord Lieutenant took part in a tree planting ceremony on Masters’ Green to commemorate his visit. 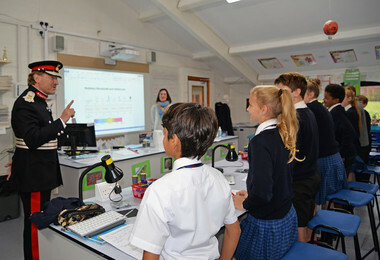 The day concluded with visits to the Senior School Business, Economics, Physics and Art Departments. We very much enjoyed welcoming our distinguished visitor and we hope he will have left with a clear sense of what makes Bishop’s Stortford College such a special place of living and learning.